The Post is currently in pre-production, with filming scheduled to begin sometime around late May. 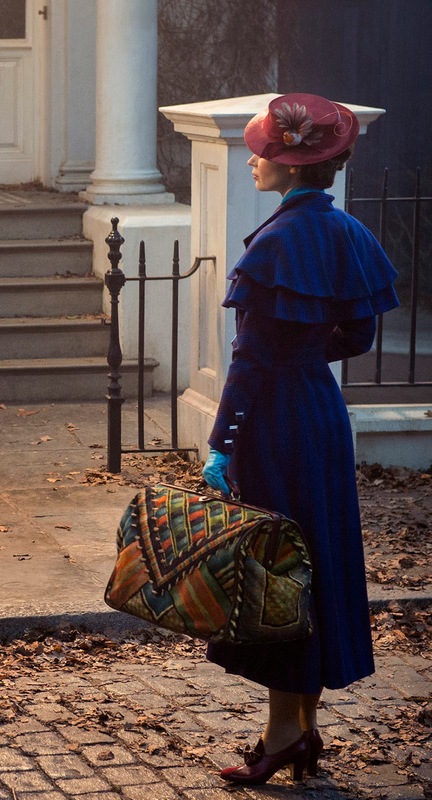 Back in January, when I had posted about my interest in having Meryl star in this film, I of course couldn't help picture her in the role of Kay Graham. Now that it's actually happening, I obviously had to reread the script. In doing so, I was more interested in paying close attention to the story and Meryl's character, but now that I look back, I should've also been thinking about who might fit the other roles. This picture, despite having its two leads (Meryl of course and Tom Hanks as Ben Bradlee), will very much be an ensemble piece. There are multiple characters with a fair amount of screen time, so I'd like to throw out a few ideas on who might fit the bill for portrayals. I have to admit that not very many names popped into my mind while reading the script, but I'll try to joggle my brain a bit to come up with a few actors. Hopefully readers of this post will be willing to offer their suggestions as well. It'll be fun to see if we get any right as casting is revealed over the coming weeks. We of course know that Tom Hanks is portraying Bradlee, but for whatever reason I kept picturing Russell Crowe in the role while reading. It would not surprise me if the role of Lally, Kay's daughter, were given to Grace Gummer. Lally is a decent-sized role, and following Streep's recent work with her daughter Mamie in Ricki and the Flash, it would be a great opportunity for Meryl to actually have dialogue in a scene with her daughter Grace. The two both shared a scene in The Homesman a few years ago, but really no interaction. Grace was also cast by Tom Hanks in his film Larry Crowne (2011), a connection that may casting her seem less nepotistic. The one hurdle for Grace's participation may be a scheduling conflict, as season 3 of Mr. Robot evidently begins shooting in April. Ok, so who are the other characters? I'm only going to list a few more because there are too many to go through. A juicy supporting role might turn out being that of Daniel Ellsberg, the military analyst who leaked the Pentagon Papers to The New York Times. Ellsberg would have been around 40 years old at the time. Ben Bagdikian, an Armenian-American and Washington Post journalist, to whom Ellsberg gave potions of the Papers is also a fairly large supporting character. He would have been around 50 at the time (an incidentally just passed away last year). Hanks's character's wife Tony (Antoinette) could be nice bit part for an actress in her late 40s or early 50s. Beyond that, there are several older male characters that serve on the board of The Washington Post, the most prominent among them being Frederick "Fritz" Beebe, in his 60s at the time. A handful of minor characters who would portray Post employees will see a fair amount of screen time as well, as they're regularly working alongside Bradlee. Here's where I need some help from you guys. My mind is sort of overwhelmed with the number of cast members so I'm struggling to nail down possibilities. For Ellsberg, maybe Edward Norton? For Bagdikian, Ralph Fiennes or Mark Rylance? Maybe Spielberg will cast Rylance because he's pushing back their collaboration in The Kidnapping of Edgardo Mortara. It's anyone's guess who will play Tony. Sharon Stone? Wow. I'm piggybacking on Simply Streep's post about the 40-year anniversary of Meryl's TV movie The Deadliest Season. Although it's technically the second time Streep had been seen on television (she was seen in a filmed version of the play Secret Service two months prior on PBS), The Deadliest Season marks the first made-for-screen role of her career, and it happened to air on CBS exactly 40 years ago today. It's astounding to think about how quickly Meryl's screen career skyrocketed in just a few short years following this TV movie. Her feature film debut came later that year alongside Jane Fonda in Julia, and just one year after that, she would earn her first Academy Award nomination for her supporting role in The Deer Hunter. I couldn't pass up the chance to recognize this milestone in Streep's career. Incidentally, The Deadliest Season is the only screen performance of Streep's I haven't seen, as I've never been able to find a copy of it. Five new clips from the film were released on You Tube last week, so I'll leave you with gem of scene of Meryl at the tender age of 27. Deadline is reporting that The Post is already set to begin production this May, with a potential late 2017 release. Holy crap! We just found out about this Monday and it may start shooting in like six weeks. It's understandable that the way this picture may capture the zeitgeist that getting it out as soon as possible could be vital to the film's popularity and overall success. Director Steven Spielberg will be on a tight schedule to get this wrapped in time for screenings at fall festivals. If any film were going to be fairly straightforward in regard to shooting, however, it's this one. Most of the scenes consist of dialogue in interior settings. No special effects. No large, sweeping landscapes. I imagine additional casting news will likely be forthcoming as well. This would leave the fall open for Meryl to shoot The Nix, which I imagine they'd want to release sometime next spring to most effectively contend for Emmy nominations. Streep to team with Spielberg and Hanks for "The Post"
Oh. My. God. It's hard to believe that the blacklist script I discussed two months ago might actually be filmed with Meryl. 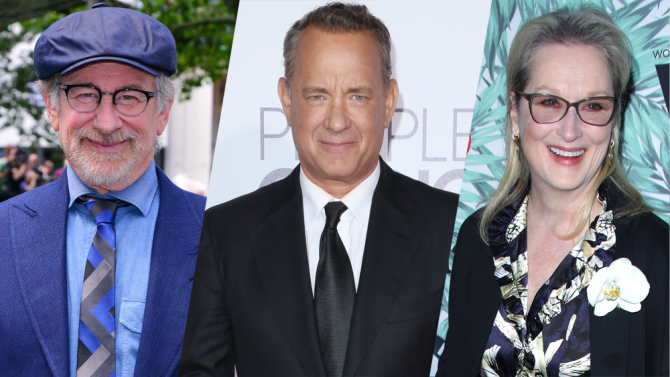 Not only that, but Tom Hanks will co-star and Steven Spielberg is going to direct. Multiple sources are reporting that The Post is set for production, to be co-financed by Fox and Amblin Entertainment. Based on the Washington Post's publishing of the Pentagon Papers in 1971, Streep would portray publisher Kay Graham, with Hanks as editor Ben Bradlee. It's not a huge surprise that this script interested Meryl. The subject is very topical, in that it follows the process of the press trying to keep politicians honest. And although no specific timeline has been revealed for filming, the Deadline article linked above states that they will "fit this into Spielberg's busy schedule soonest." So thrilled to have a feature film lead role in the works for Meryl. More to come soon I'm sure. Ahhh!